I need two of the BNC breakout cables to plug onto these cards. 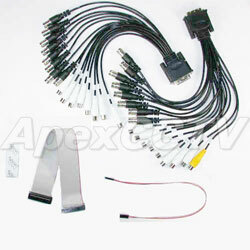 The configuration of the lead is 8 BNCS & 8 Phonos to a DVI Dual connector. Any idea where I can buy these? Yes this is the one, any idea where I can buy one?